During the holidays, we have a lot to be thankful for, and as we reflect on 2018, there is also a lot to celebrate. 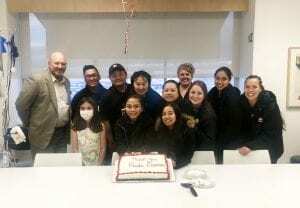 As we wrap up the fundraising year for Renown Children’s Hospital – which is a Children’s Miracle Network Hospital (CMNH) — we want to recognize all those who supported the program, including all Renown Health employees during IHOP Day, Miracle Treat Day and Miracle Jeans Day as well as through the Employee Giving program. As a CMNH hospital, all fundraising for Renown Children’s Hospital is facilitated through Renown Health Foundation. The past couple of years, CMNH has raised more than $1 million that directly benefits patients at Renown, and because of community support and Renown employees, we are on track to get there again. 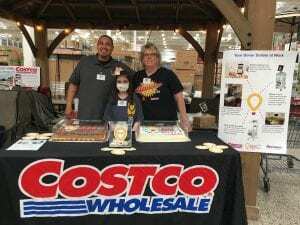 The three Costco Warehouse locations in Reno, Sparks and Carson City raised more than $317,000 through CMNH balloon sales in May. The funds purchased new monitors for the Neonatal Intensive Care Unit. 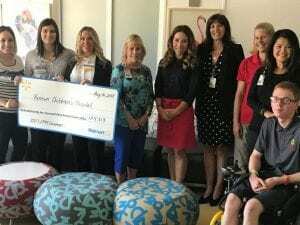 Credit Unions for Kids raised more than $92,000 to support immediate needs at the children’s hospital through their year-long fundraising activities. Panda Express continues to grow in donation numbers as well as restaurants. They are on track to raise up to $100,000 by the end of the year to purchase three new Giraffe Omni-beds for the NICU. If you get a chance to visit Panda Express’ newest location on Mae Anne in northwest Reno, be sure to thank them for their support. The annual Miracles at Montreux Golf Tournament raised more than $75,000 to purchase an epilepsy monitor that will support the efforts of clinical employees such as pediatric neurologist Dr. Colin Nguyen. Renown Health Foundation would also like to thank our 2018 CMNH Champion Child, Kimberly Fernandez. Kimberly is a frequent patient at Renown Children’s Hospital, but that doesn’t stop her from supporting CMNH. She has traveled to many CMNH business partner locations in Reno, Sparks and Carson City throughout the year to promote the importance of giving back to support Renown Children’s Hospital. We are so thankful for wonderful patients like Kimberly and her family who go above and beyond to advocate for CMNH. Be on the lookout for ways to support your CMN Hospital next year by participating or volunteering at events. To kick off the New Year, please save the dates for the following events, and watch Inside Renown for more details. Previous post: Renown Children’s Hospital Celebrates the Holidays! Next post: Make 2019 the Best Year Yet!